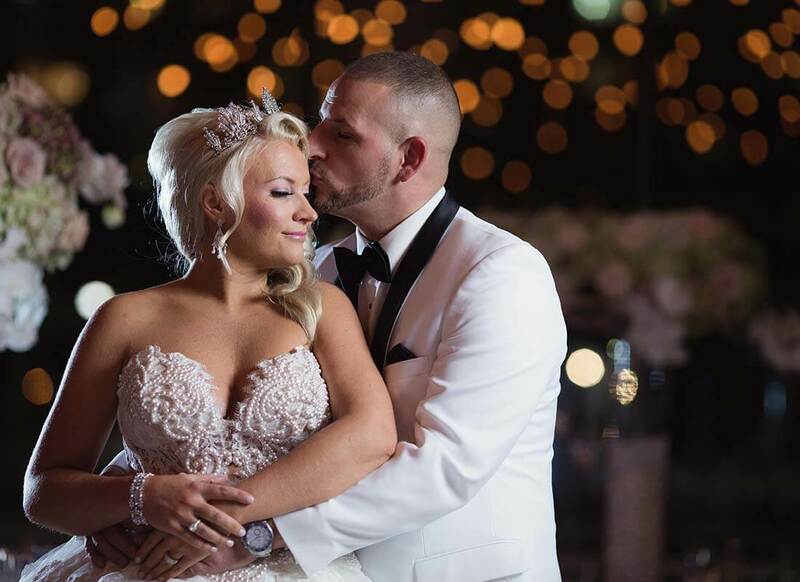 Everything had come together perfectly for Karen Haig on September 30, 2016 as she said her “I do's” with the love of her life, Billy Haig, at Battello in Jersey City, New Jersey. 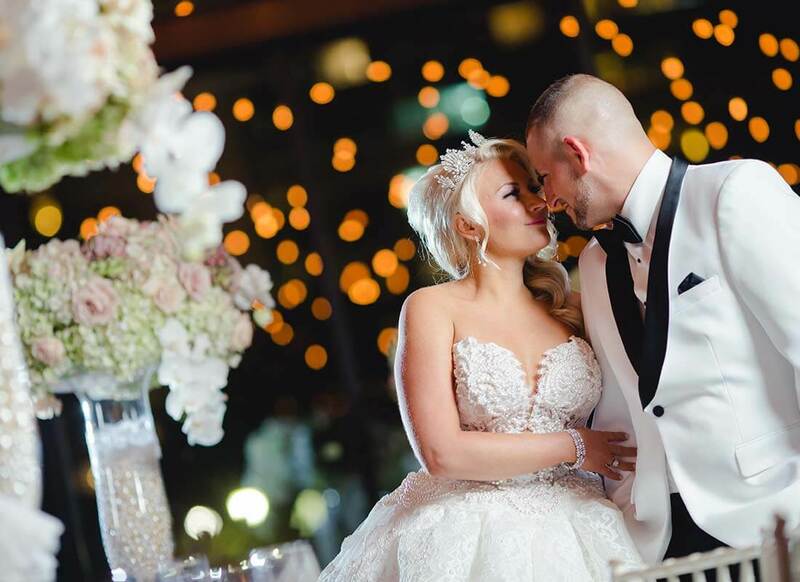 Overlooking the Hudson River, the scene could not have been more ideal as Karen walked down the aisle in her lavish lace and pearl ball gown, soaking in this once in a lifetime moment with her true love. For a special day such as this, Karen wanted a gown that would be as exceptional as the event itself. 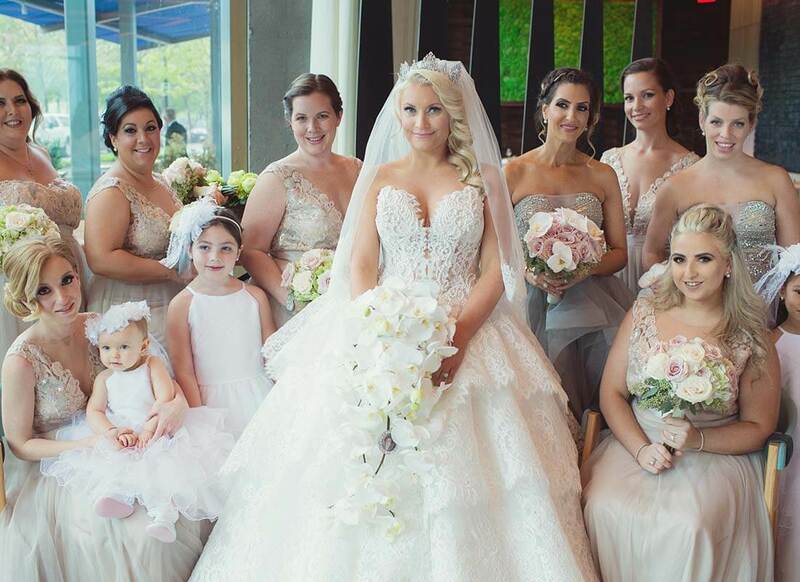 Therefore, after having no luck finding the gown of her dreams at other boutiques, Karen made the trip to Kleinfeld Bridal with her mother to find a dress that could truly wow her. Initially Karen was searching for a fitted mermaid gown with lace and pearls. She wanted a gown that would show off her amazing silhouette. Karen tried on a few mermaid gowns to start off her appointment, but nothing was clicking for her. After telling her consultant that she really desired a gown with lace and pearls, Karen's consultant decided to take a chance on a dress that was a different style than what Karen was looking for. 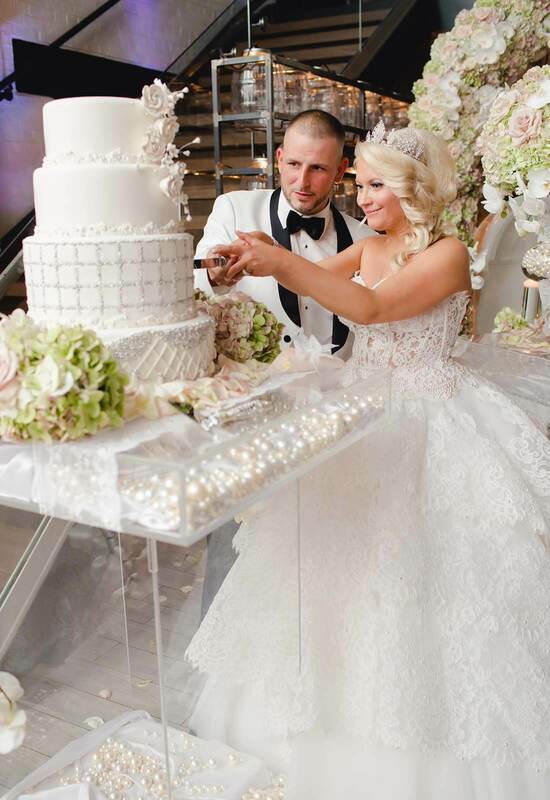 Karen's consultant went straight into the Pnina Tornai Boutique at Kleinfeld Bridal and grabbed a stunning two-piece ball gown that had the lace and pearls that Karen desired. She brought the gown back to Karen who agreed to try it on. Karen came out of the dressing room in the captivating ball gown to show the dress to her mother who immediately burst into tears. It was at that moment that Karen knew she had found “the one.” Wanting her whole family to see her say yes to the dress, Karen left that day without her dream gown but soon returned for the dress that had won her heart. 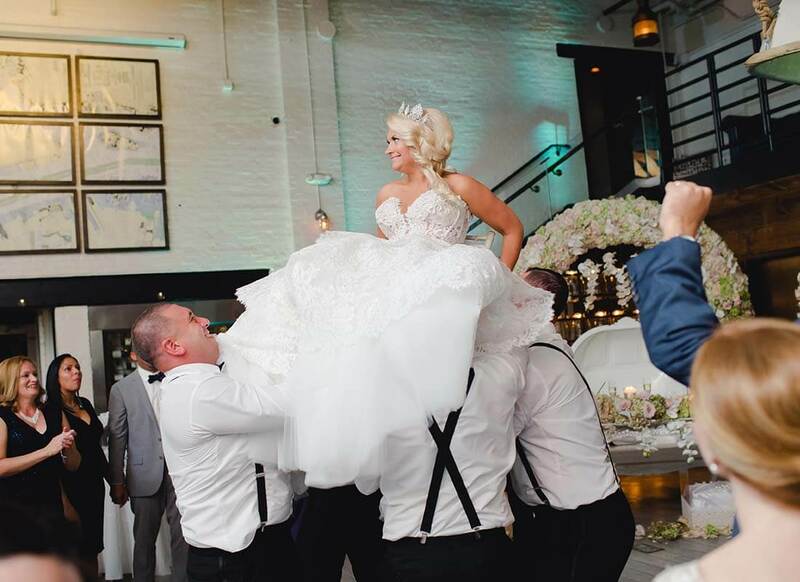 Entourage in tow, Karen returned to Kleinfeld Bridal and after receiving an overwhelming yes from her loved ones, Karen herself was ready to say yes to the dress! 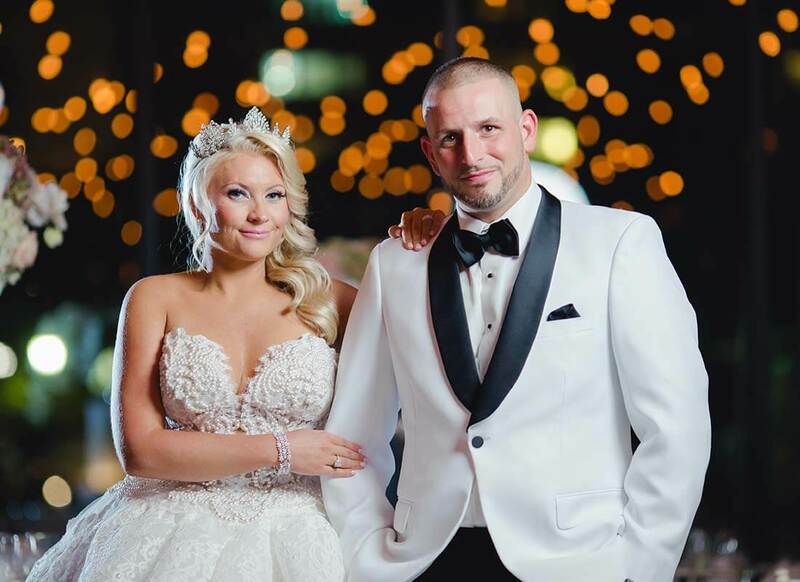 Karen said yes to a show-stopping lace and pearl ball gown with a sweetheart neckline and lace up corset. 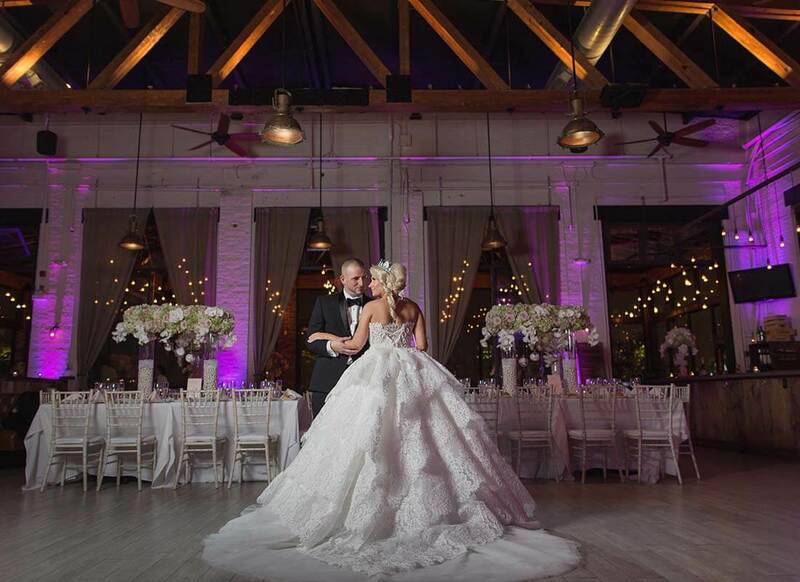 It was certainly a once-in-a-lifetime gown! To add even more significance to this special occasion, this time at the Pnina Tornai Boutique, Karen got to meet Pnina Tornai herself! The designer came over and told Karen all about the inspiration behind the gown that was a part of her Wind Upon Water Collection and to compliment the gorgeous bride-to-be in the dress. For Karen this really brought everything together. 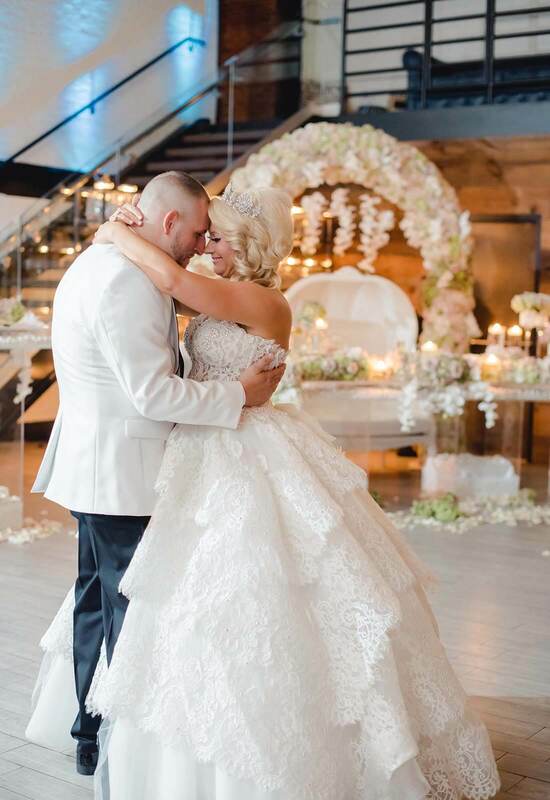 Moved by the sincerity of Pnina Tornai and in awe of how the gown's inspiration and design fit in so well with the vibe and venue of her wedding, Karen knew she had made the right decision! 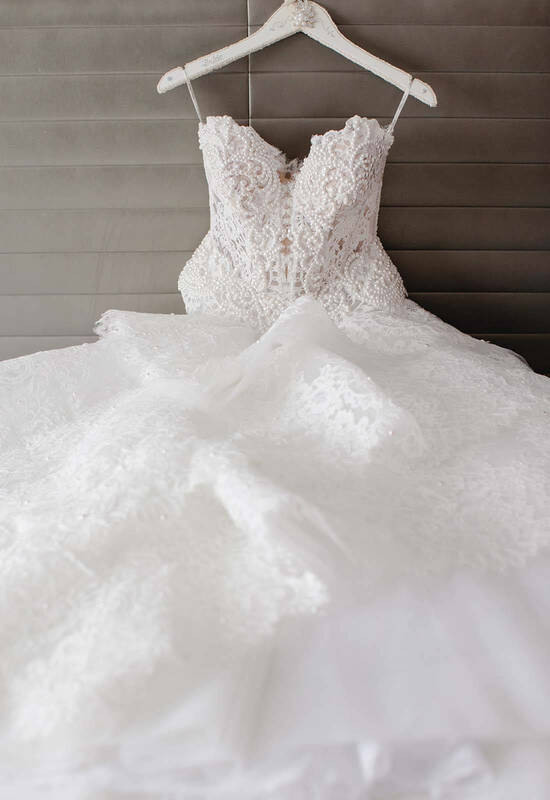 Even though this gown was a different style than Karen was originally looking for, there was so much that Karen loved about this exquisite ball gown. For starters there was the perfectly constructed corset that fit Karen like a second skin. “The corset felt like it was made for my body,” Karen explains. This was exactly what Karen was looking for to show off her silhouette. 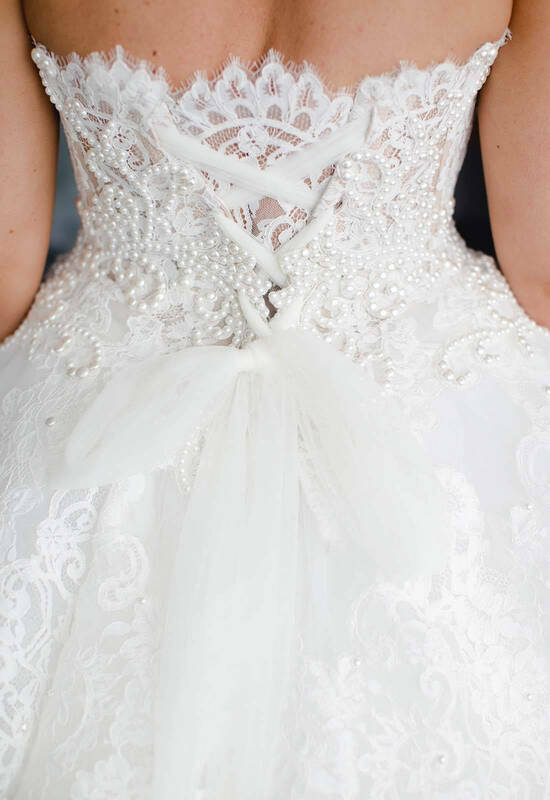 Then of course there was the stunning lace and pearls that adorned the gown. 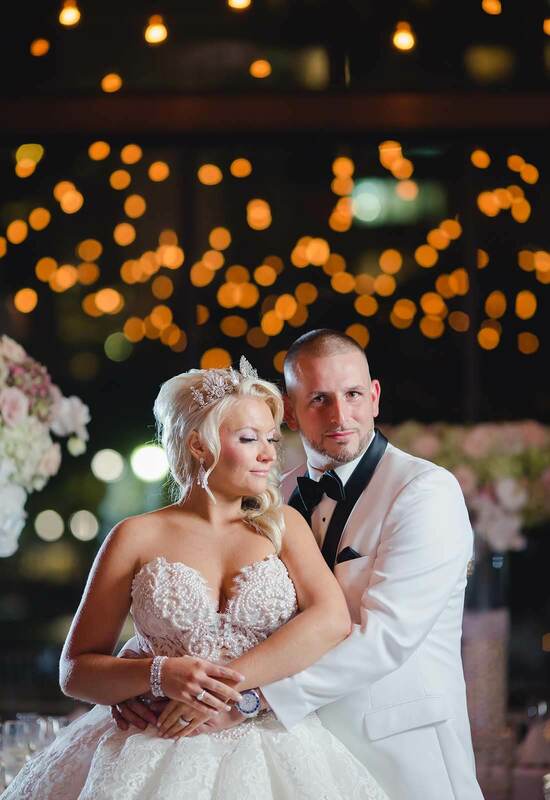 The pearls were absolutely captivating with the way that they covered the corset and added an air of elegance to the gown. 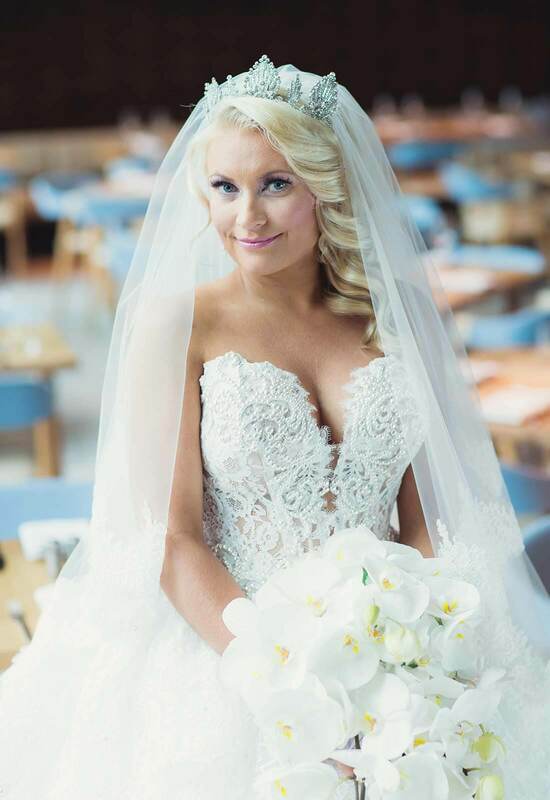 The lace cascaded down in gorgeous layers to make up the skirt of the gown. All of this came together to make Karen's dream dress; the gown that she would wear to marry her true love. From this point on it was all about the details. 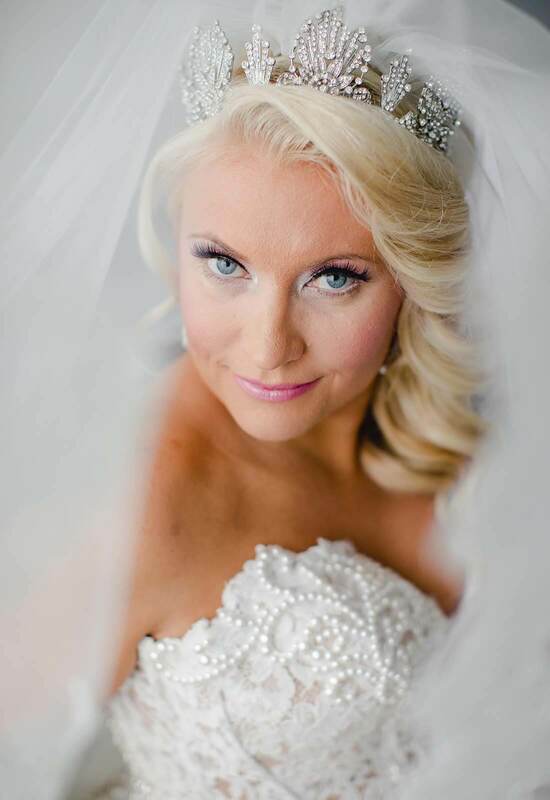 To complete her bridal look, Karen wore a gorgeous tiara nestled at the top of her softly curled hair. It was the perfect amount of bling and flowed well with the essence of the gown. Karen wore her hair in an elegant side sweep, a modern take on a classic up-do hairstyle. Karen decided to not wear a necklace to make sure that the focus was solely on her in her stunning wedding dress with its intriguing pearl neckline. For jewelry, Karen stuck to simple yet elegant earrings and a bracelet. 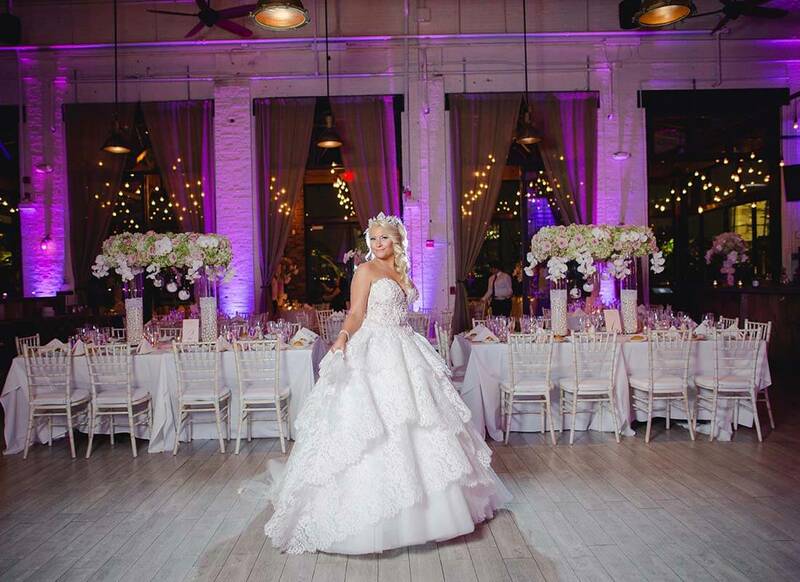 Since her Wind Upon Water ball gown went so well with her venue overlooking the Hudson River, Karen tied in a few more elements of the gown into the décor. For example, there were pearls in the vase centerpieces as well as some beautiful lace around the vases. 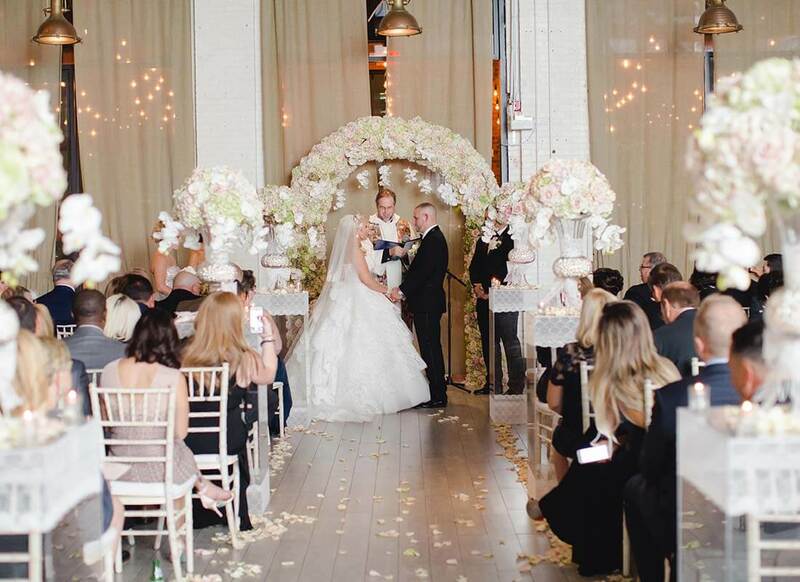 Her soft pink and cream color palette complimented everything wonderfully and her delicate orchid flowers added a romantic touch to the affair. Feeling like a princess, it truly felt like everything had come together in a uniquely special way for Karen and Billy's wedding day. 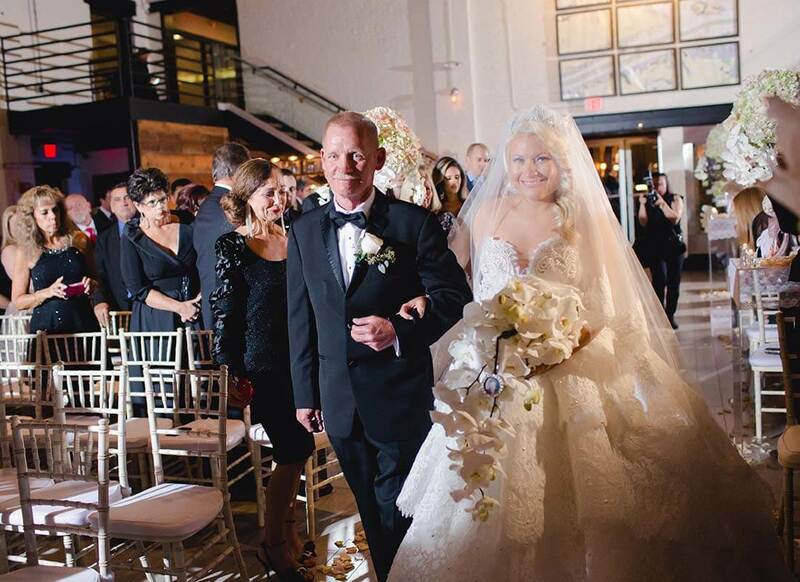 For Karen, it felt like fate had led her to her dream dress and it was fate that she said “I do” to forever love and happiness.